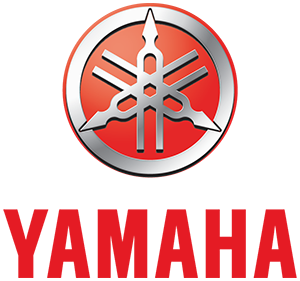 Yamaha Motorcycles in Santa Ana, California : Yamaha Motor Corporation - We haven't been racing 50 years for the trophies. What began as a means to increase reliability and performance has become a major motivator. The spirit of competition infuses every sport machine Yamaha makes, from ATV to YZ. They're all built to do one thing: get you there first. 2018 Yamaha TT-R125LE, 2018 Yamaha TT-R125LE A STEP UP, A STEP ABOVE The perfect transition bike from mini to full size or for those who have yet to discover the freedom of off-road riding. Features may include: Engine Torque-Rich Motor Potent 124cc air-cooled SOHC four-stroke powerplant puts out torquey, broadband power tuned for maximum off-road performance in a wide range of trail conditions. Responsive Power 20mm Mikuni® carburetor ensures crisp, dependable throttle response. 5-Speed Transmission Smooth-shifting, five-speed transmission with heavy-duty clutch is geared for maximum versatility and usable power delivery. Chassis/Suspension Robust, Compact Frame Rigid frame design features a long wheelbase to accommodate bigger riders while maintaining quick, agile off-road handling. Trail-Ready Front Fork 31mm telescopic front fork with 7.1 inches of travel has preload adjustability for plush, confidence-inspiring control over rough terrain. Advanced Rear Suspension Single rear shock with 6.6 inches of travel and compression and rebound damping adjustability provide predictable handling for the aggressive rider. Additional Low Seat Height Long, YZ-style seat is low, comfortable and allows easy rider movement, with a gripper-style seat to aid seat-of-the-pants feel. Racy Styling Team Yamaha-inspired colors, graphics and front and side number plates create styling similar to larger YZ lineup. Sleek, narrow fuel tank helps create a big-bike look and feel. Grippy Footpegs Large, folding, cleated footpegs provide excellent footing, even in wet or muddy conditions. 2017 Yamaha FZ6R, 2017 Yamaha FZ6R THE PERFECT 1ST SPORTBIKE The FZ6R™ features a confidence-inspiring low seat and R6-style all at an afforable price. Features may include: Street-ready Sport Bike A rider in the market for a practical 600cc bike doesn’t have to compromise performance or style to get value. The FZ6R is a great combination of performance, handling, and exciting sport bike style, but also with a low seat height that’s both adjustable to fit a wider variety of riders and also narrower where it counts to make it even easier to put both feet on the ground. Smooth 4-Cylinder Motor The engine delivers smooth power just the way today’s rider needs it, providing brisk acceleration with plenty of torque that makes it a pleasure to get around town, with plenty in reserve for when you want more. The FZ6R is fuel injected and tuned for outstanding low- to mid-rpm engine performance. Agile Handling Even if your primary goal is commuting to school or work, you want to be able to get out and have fun riding some twisty back roads. The diamond-shaped frame, made of high-tensile steel pipes using the engine as a structural member of the chassis, becomes the foundation for handling performance. It’s designed to provide the right rigidity balance to contribute to smooth cornering performance. 2017 Yamaha SCR950, 2017 Yamaha SCR950 THE ALL-NEW SCR950 All-new SCR950 combines vintage, scrambler styling with modern engineering. Potent 942cc V-Twin, spoke wheels, high rear fender. Features may include: Classic Scrambler Styling The SCR950™ calls back to the past with its low-profile bench seat, retro-racing side number plates, fork boots and bold color accents. Modern engineering meets timeless scrambler style. Modern Air-Cooled V-Twin The 58-cubic-inch (942cc) engine is an air-cooled SOHC 60° V-twin with four valves per cylinder, a pent-roof-shaped combustion chamber, and 9.0:1 compression ratio. The engine is ideal for exploring unpaved roads off the beaten track and powering out of tight corners. Unique Upswept Exhaust System A 2-into-1 exhaust pipe layout on the right side of the engine contributes to the lively performance and styling of the machine, with an upswept muffler for improved ground clearance and a pleasing exhaust note. Inviting, Flexible Ergonomics The SCR950 puts the rider in a position of control to handle whatever the road throws at them. A wide and tall crossbar-type handlebar creates light steering feel, while centrally-mounted footpegs and a long, flat seat allow the rider to move easily to adapt to different riding styles. Handling-Focused Chassis A double-cradle frame features sporty geometry for nimble, responsive handling in any environment. The front and rear suspension systems are tuned to provide great comfort and handling while contributing to the machine’s stylish low profile. 2015 Yamaha SR400, 2015 Yamaha SR400 Retro Cool. Built to Customize. The new SR400 is a legendary classic that’s a kick to ride. With retro styling and one of the best performing 399cc air-cooled engines, it embodies the meaning of “Everything old is new again.” Key Features May Include: The SR400 is powered by a 399cc, single-cylinder, air-cooled, SOHC, 2-valve engine that produces a torquey, “thumper” engine character that makes it an absolute blast to ride. The SR weighs a mere 384 pounds and has a slim chassis and natural riding position with a low, 31-inch seat height. This combination makes for a machine that is well suited to both entry riders as well as experienced enthusiasts. Virtually unique among today’s street bikes, there’s no push-button starter. The SR400 is equipped with an easy-to-use kick starter as the only means of getting the engine running. That will draw smiles from old-school motorcycle fans and appeal to more modern motorcycle enthusiasts who value the allure of riding a motorcycle that stands out in the crowd. The 399cc, single-cylinder, air-cooled, 4-stroke, SOHC, 2-valve power plant with electronic fuel injection combined with the SR’s light weight makes for a very fun motorcycle to ride. Easy to start kick-starter is actuated through a handlebar mounted compression release that makes starting the SR quick and easy, with very little effort. The torquey, single-cylinder engine provides “thumper” appeal and engine character with a feeling of direct power connection to the rear wheel adding to the fun factor of the SR. Slim, narrow, double-cradle steel frame makes for a very compact body design for excellent rider maneuverability. 3.2 gallon fuel tank offers excellent touring range with an estimated 66 miles per gallon* depending on the weight of the rider, passenger and any cargo. Compact 55.5” wheelbase makes for quick, light steering for fun riding when the roads get twisty. 2019 Yamaha Bolt R-Spec, 2019 Yamaha Bolt R-Spec BORN WITH PERFORMANCE This performance bobber combines old-school soul and modern form featuring a torquey V-Twin engine. Features may include: Engine Modern Air-Cooled V-Twin The 58 cubic inch (942cc) engine is an air-cooled SOHC 60° V-twin with four valves per cylinder, a pent-roof shaped combustion chamber and 9.0:1 compression ratio. The engine is designed to provide excellent power and superior low-end torque. Low Friction Internals To keep friction loss to a minimum, increase durability and help the engine achieve the ideal performance characteristics, special roller-type rocker arms with needle bearings are used. Chassis/Suspension Handling-Focused Frame A double-cradle frame enhances city riding enjoyment thanks to an engine mounted to the frame with a rigid mount system that provides precise handling. Low Seat Height The low-set seat is a mere 27.2 inches off the pavement, so most riders can easily put both feet firmly on the ground at a stop, as well as enjoy the great riding position the seat provides. Additional Modern Lighting LED rear taillight looks cool and adds to the modern bobber appeal. Slick Instruments Compact digital LCD meter assembly provides clean styling with excellent visibility. 2019 Yamaha TT-R230, 2019 Yamaha TT-R230 LONG LASTING FUN Light, simple and proven, the trail bike that delivers decades of low maintenance performance. Features may include: Engine Broad, Accessible Powerband Super-reliable, electric start, 223cc air-cooled, SOHC four-stroke puts out smooth, widespread power perfectly suited for all kinds of trails and riders. 6-Speed Transmission Smooth-shifting, six-speed transmission with heavy-duty clutch geared for maximum versatility and usable power delivery. Digital Ignition CDI magneto ignition system is ultra-reliable and nearly maintenance free. Chassis/Suspension Robust, Compact Frame Steel frame with compact wheelbase and low seat height combines accessibility to new or smaller riders with superb maneuverability and super-responsive handling. Advanced Rear Suspension Linkage-mounted adjustable rear shock serves up 8.7 inches of smooth, progressive rear wheel travel for great bump absorption and handling. Trail-Ready Front Fork 36mm front fork with 9.4 inches of wheel travel provides plush, confidence-inspiring control over rough terrain. Additional Comfortable Saddle Long gripper seat is low, comfortable, and allows easy rider movement. Racy Styling Team Yamaha-inspired colors, graphics and front and side number plates create distinctive styling. Grippy Footpegs Large, folding, cleated foot pegs provide excellent footing, even in wet or muddy conditions. 2019 Yamaha YZ85, 2019 Yamaha YZ85 VICTORY...NEVER GIVEN, ALWAYS EARNED Step up to the perfect bike and continue the journey of earning victory after victory. The YZ85 has all the lightweight, 2-stroke reliability and agility you've come to expect from Yamaha. Features may include: Engine All-New YPVS Two-Stroke The 85cc liquid-cooled, two-stroke engine now features the Yamaha Power Valve System for broad, tractable power across the rev range without losing peak power at high rpm—improving driveability and reducing the need for frequent shifting. A new head and longer connecting rod design work together to boost compression ratio for enhanced power output, too. New Crankcase and Intake A new crankcase design features a spacer-style reed valve intake for improved gas flow, which inhales through a 28mm Keihin® flat-slide carburetor for seamless throttle response. New Expansion Chamber Matched to the improved output of the YPVS engine, the new expansion chamber optimizes exhaust gas flow for enhanced power delivery, especially in the low- and mid-range. Chassis/Suspension Fully-Adjustable Fork Lightweight 36mm KYB® inverted cartridge fork features 10.8 inches of travel with compression and rebound damping adjustability with low-friction outer tubes and internals. For 2019, one-piece outer tubes and new settings offer enhanced performance across a range of conditions and rider abilities. New lower fork guards provide protection and modern styling. Fully Adjustable Shock Rear suspension features fully adjustable Kayaba® link-type shock with 11.1 inches of travel and race-tested compression valving. The progressive linkage-type design improves bottoming resistance, while updated settings improved bump absorption and bottoming resistance allowing racers to charge harder and improve lap times. New Swingarm Design Redesigned swingarm features a new composite chain guide as well as updated chain adjusters for easier maintenance. Additional New Adjustable Rider Ergonomics New four-position adjustable handlebar mounts and taper-style handlebars allows the rider to tune the handlebar position to suit their size and preferences. The flat fuel tank, radiator shrouds, side panels and rear fender provide generous freedom of movement.